Native vines, Care and Intelligence. The earth, the vines, the sun. The wise gestures of man, his knowledge and sensitivity as a guardian. Respect for the rhythms of nature and the fortunate combination of ideal climatic and territorial conditions give rise to a red or white nectar, sweet or dry, which ennobles the interweaving of man and the world he lives in: the Domìni Veneti wines of the Valpolicella Classica area are a great testimony to this. Amarone Espressioni is the embodiment of the Valpolicella Classica area: five Amarone crus whose foundation is the originality and true expression of the territory of the Valpolicella Classica area, where “cru” means the specific terroir in which the grapes grow, with very specific characteristics thanks to natural aspects of the land that man, gifted with intelligence and sensitivity, and helped by science, knows how to best discover and preserve. 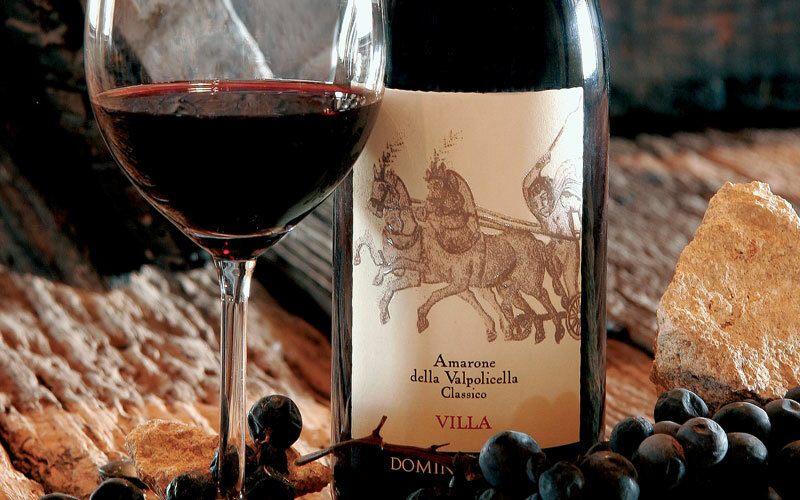 Just like flipping through the pages of a book to learn more, each bottle of Amarone in the Amarone Espressioni box set bears the history and influence of its specific territory. The name of this structured Veronese red wine comes from the word “amaro”, meaning bitter, a word that immediately distinguishes it by contrast from the sweet Recioto della Valpolicella that it mistakenly arose from. 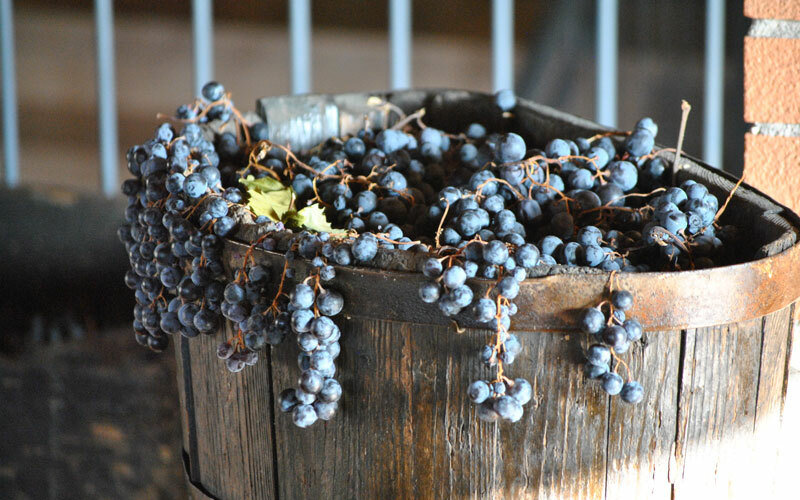 It was 1936 when Adelino Lucchese, the cellar manager of Cantina Sociale Valpolicella Negrar, noticed a barrel of Recioto that had been forgotten. The Recioto had by then “scapà” (escaped) and had become dry. A serious mistake, given that historically Recioto was (and is) a prestigious sweet wine! All the same, before dismissing it as a loss, Adelino wanted it to be tasted by Gaetano Dall’Ora, the current president of the cooperative that had been founded in 1933. Gaetano brought the glass of this unknown wine to his nose and immediately tasted it. The discovery was surprising. Genially inspired and inebriated by so many aromas and flavours, the president exclaimed: “This is not an amaro, it’s an amarone!” (amaro means bitter in Italian). What had happened? In essence, the Recioto had been put in barrels and then forgotten and not decanted, so it continued to ferment until it became dry. The sugars had all turned into alcohol and had caused the wine to lose its sweetness, giving rise to a wine with complex and fascinating aromas, but with a dry taste, just the opposite of the sweet Recioto. Amarone, precisely. A king had been born. Domìni Veneti’s Recioto della Valpolicella takes its name from racemes, the tiny bunches known as “recie”. It is a sweet red wine produced exclusively with our native-variety grapes which are dried for a prolonged period (at least 120 days), even longer than those destined for the production of Amarone. It has an intense ruby-red colour, a particularly sweet aroma and a full, intense and sweet flavour, but never overly sweet. It amazes the palate! 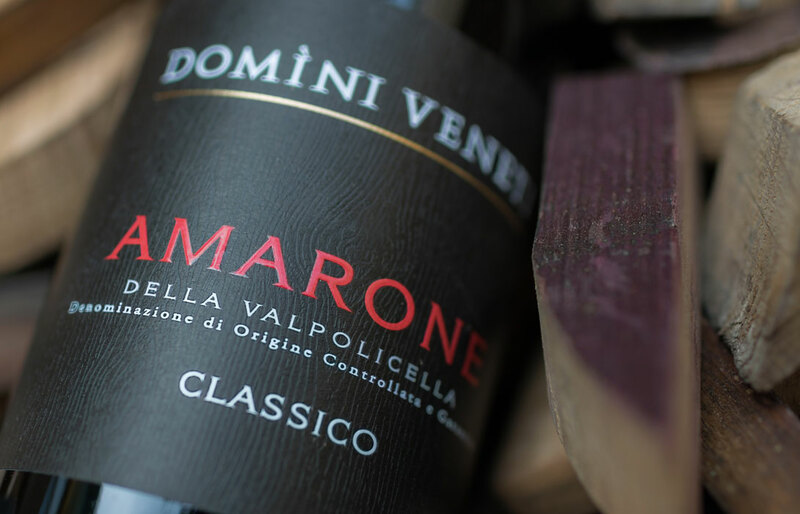 Domìni Veneti produces three types of Valpolicella Doc Classico and two cru selections of Valpolicella Ripasso Classico wines. Why “Classico”? Valpolicella is called “Classico” when it is produced in the sub-area which includes the municipalities of Fumane, Marano di Valpolicella, Negrar, San Pietro in Cariano and Sant’Ambrogio di Valpolicella, which belong precisely to the Valpolicella area known as “Classica”. Why “Ripasso”? 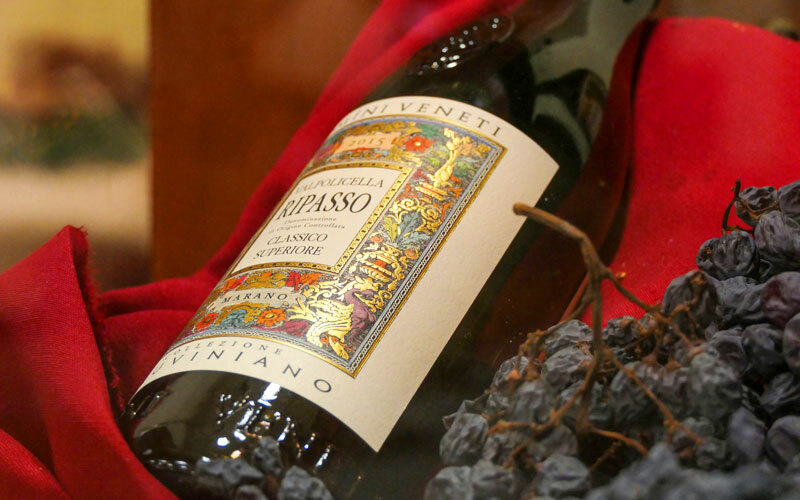 Ripasso is made with traditional techniques that have been rediscovered and enhanced in recent decades. 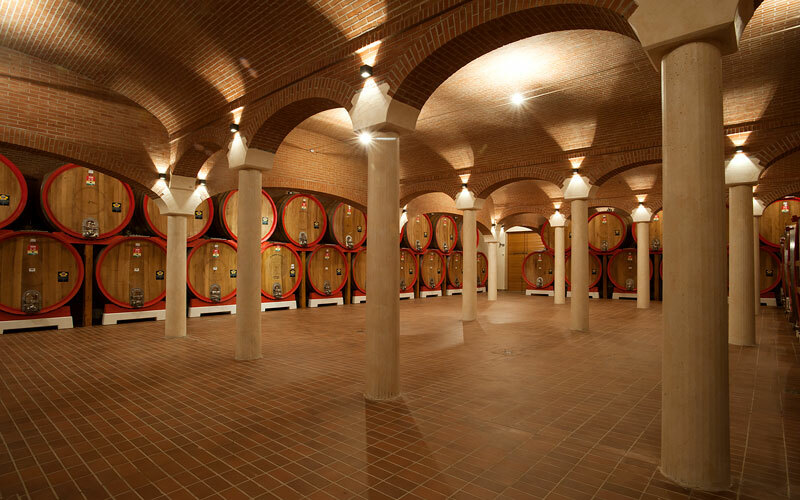 Valpolicella is considered Ripasso if it is passed through the skins of Recioto or Amarone before ageing in barrels. The taste and body that the wine acquires makes you want to enjoy it over and over again. Guaranteed! Custoza, Lugana, Soave, Bardolino, Bardolino Chiaretto and Raudii IGT. These are the regional selections that express the excellence of our Veronese vineyards. The best vintages and thematic Collections of wines to taste, both for simple enthusiasts and for the most demanding palates. Here are the proposals and suggestions of Domìni Veneti. Do you have a curious palate? We can’t wait to meet it! Hospitality is life! Book your guided tour with a tasting of the symbolic wines produced by Domìni Veneti. Our professionals and attentive connoisseurs look forward to your visit. Custodians of a value to be spread! 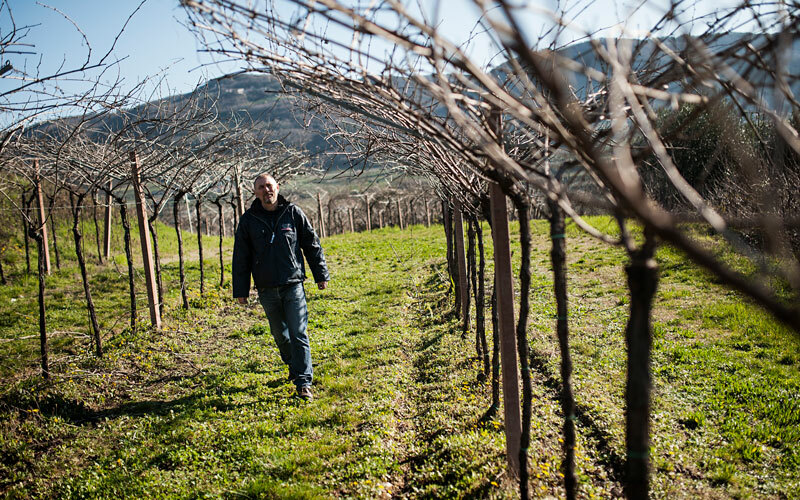 Domìni Veneti is committed to spreading the concept of wine as a culture. This is why it gives rise to projects of cultural and social value which also involve the young and the world of creativity.